Parking available at Kindercare next door if needed. The Arbors has an arrangement with them. Join Melrose Chamber members along with members from the Reading-North Reading, Stoneham, Wakefield Lynnfield and Wilmington Tewksbury Chambers for an evening of socializing and structured networking. 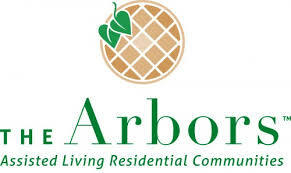 Our host, The Arbors at Stoneham, will provide a beautiful space, oin Melrose Chamber members along with members from the Reading-North Reading, Stoneham, Wakefield Lynnfield and Wilmington Tewksbury Chambers for an evening of socializing and structured networking. Our host, The Arbors at Stoneham, will provide a beautiful space, complimentary appetizers and complimentary wine. This popular networking format includes high gain questions that foster discussion and cannot be answered with a simple "yes" or "no". By using high gain questions focused on business issues, you can discover connections and commonalities with local women from a diverse range of skills and backgrounds. You will work in small groups that will be shuffled about during the evening and leave with a fresh perspective and new insights to apply to your own company. Best of all, it's a lot of fun and can help you cut through small talk to really learn about each other's business challenges and success stories.